The hilarious Sarah Dillard on the left, yours truly on the right, and adorable mice all around. “You should be going to every Girl Scout Jamboree in the country!” urged a troop leader to author-illustrator Sarah Dillard. 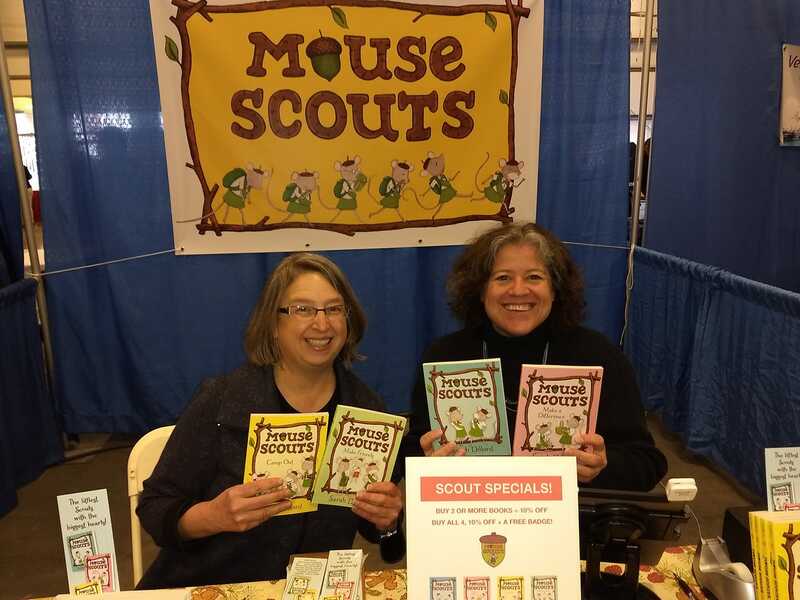 Sarah, whose Mouse Scouts chapter book series is beloved by Daisies, Brownies, and Girl Scouts the nation over, had been invited to the Girl Expo in Vermont on our state fairgrounds, and her publisher, Random House, arranged for a booth where we could set up and sell the books. What struck me was how many Daisy and Brownie leaders hadn’t known about the books and were intensely interested in them. With chain bookstores ever-dwindling, it’s a great time to consider marketing your book to an independent bookstore. Haven’t considered it yet? Maybe it’s time that you did. Bookstores, whether just for stocking or for events, can be a great book marketing goal. They are also a great way to get in front of more readers as well as build your local tribe. Not sure where to start? Let’s have a look at some things you’ll want to know, before you start pitching. On March 1st, Pew Research Center released its newest report on social media use. As everyone would expect, YouTube and Facebook lead the pack, capturing a good portion of Internet users. But not far behind, with an estimated 800 million users as of September 2017 (Statista), Instagram proves that it’s continuing to flourish. If you’ve never used Instagram, I recommend that you read an earlier post I wrote for Joel Friedlander titled Instagram Primer for Indie Authors. Since that time there have been a few changes: Instagram is more nimble on desktop computers, and you can now schedule posts without reminder notifications with most scheduling applications if you have a business account. But today we’re going to be more concerned with growing your Instagram account. Goodreads is the world’s largest site for readers and book recommendations, and an attractive spot for authors to promote their books to readers to get reviews. Authors sometimes wonder how to effectively reach and engage with reviewers on Goodreads, especially when they can see how much Goodreads reviews can impact the success of a book. There are two different approaches for authors when it comes to promoting books on Goodreads that authors should leverage together. There’s the “pure marketing” approach, for which Goodreads provides suite of advertising products for authors to use to build awareness around their books. The other approach involves investing in building long term relationships with readers that can pay off over time. I have a new book out this week called How to Revise and Re-Release Your Book and I wrote it because rebooting books is kind of a big deal right now – especially if your goal is to sell more books. There are lots of reasons revising and re-releasing your book is a good idea. Maybe you didn’t get it quite right when the book first launched, maybe it needs revision, or maybe the book is old and you want to breathe new life into it by re-releasing it. These are all great reasons to consider a reboot. And it’s certainly a great way to sell more books. Once you’ve made this decision, your next question might be whether or not you need a new book cover. In almost every case, the answer to this is going to be a resounding yes. f your first question is: What is a pre-order campaign? then you’re in the right place. If you’ve done a pre-order campaign in the past but it wasn’t successful, then you’re also in the right place. Below are the 13 strategies that will ensure success when it comes to selling your books. Do you wish more readers would comment on your blog posts? Some bloggers think commenting is dead. And while that’s not the whole picture, there may be some truth in it. When I started blogging back in 2008, Twitter and Facebook were only just taking off. And if readers wanted to respond to a post, they’d normally leave a comment on the blog itself, rather than tweet or comment on a Facebook thread. You might think that if you had more readers then you’d get more comments. But that isn’t necessarily true. Some of the big blogs I read only get one or two comments per post. And smaller ones can often get dozens. Whether you’re promoting a specific book or trying to drive exposure to boost an author’s brand, posting eye-catching images is imperative to capturing readers’ attention on social media. Some social platforms revolve around sharing visual content, including Instagram, where photos still generate 36% more engagement than videos. And on platforms where images are optional, including them dramatically increases engagement. For example, Facebook posts with images see 2.3x more engagement than those without images. You don’t have to be a professional photographer or have an expensive DSLR camera to take original high-quality photos for your social media marketing campaigns. Your smartphone can take excellent pictures, and there are great articles with tips and tricks for easily shooting and editing pictures, including guides specifically from book bloggers. And you can use free tools like Canva or RelayThat to easily create custom graphics. 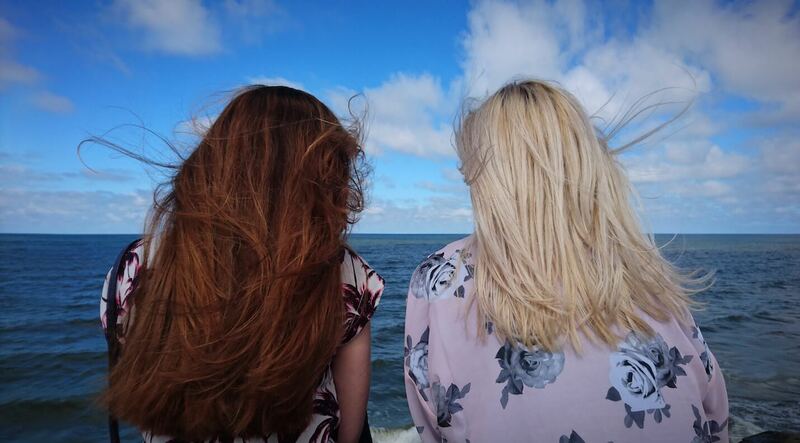 So what kinds of images should you share on social media to engage with readers? Here are some creative ways we’ve seen authors use images on their channels. We hope this helps you brainstorm some new types of images to post, so you can test which works best for reaching your unique audience. Please welcome former WU contributor Jane Friedman back to WU today! Jane has 20 years of experience in the publishing industry, with expertise in business strategy for authors and publishers. She’s the co-founder (with WU’s Porter Anderson) of The Hot Sheet, the essential industry newsletter for authors, and has previously worked for F+W Media (home to Writer’s Digest) and the Virginia Quarterly Review. In addition to being a professor with The Great Courses, Jane has delivered keynotes and workshops on the digital era of authorship at worldwide industry events, including the Writer’s Digest annual conference, San Miguel Writers Conference, The Muse & The Marketplace, Frankfurt Book Fair, BookExpo America, LitFlow Berlin, and Digital Book World. Find out more at janefriedman.com. Writing for children can be one of the most rewarding things to publish – but it can also be one of the most challenging. You can’t market direct to your readers, you are competing with some huge, established names from traditional publishing, and it’s more expensive to commission illustration and print color books.In today’s article, Darcy Pattison gives some tips for successfully self-publishing a children’s picture book. At some point, many successful writers want to try writing and publishing a children’s picture book. There are many reasons: their own children inspire a story, they fondly remember a childhood event, or their muse gives them a story that doesn’t seem right for their usual genre. Writers often tell themselves that they are professionals and can switch to this new genre without problems. There are indeed many similarities to publishing a children’s book. Let’s cover them.